The continuous execution of Palestinian civilians is not an unprecedented campaign of murder but demonstrates the general treatment of the Palestinian People, as a whole. The current killing of about 200 targeted executions since only the month of October 2015 is a glaring number in comparison to about 5 Israeli civilian deaths. This escalation during the ‘Intifada’ or uprising follows a string of targeted assassinations of mainly young Palestinians who were participating in demonstrations against the occupation. When attacked by the military forces, Palestinian demonstrators may have tried to defend themselves with stones against high velocity gas projectiles, rubber-coated steel bullets, and live fire ammunition. Leaders of the Apartheid Israel State of occupation are encouraging soldiers, illegal settlers and civilians to execute on sight any Palestinian who may be suspected of being a threat, even when their own lives are not in danger. The evidence testifies that incapacitated civilians armed with nothing but scissors or those alleged to be armed are shot to death without cause or left to die without medical attention in contravention of international law. On occasion the same political and military leaders will dissociate themselves when the level of international indignation is rising, if only to act as blockers in the geo-political arena. Nonetheless, the policy of massacre is consistent, from the series of assaults on the Gaza refugees, the wars inflicted on Lebanon and Egypt, the Nakba massacres of 1947 to 1949 by all factions - including the little-known killings of 5,000 Palestinians who attempted to return to their villages at that time, as well as the executions of unarmed prisoners-of-war during both 1967 and 1956. This is a pattern of a continuous genocidal practice known as ethnic-cleansing. When such militarism is denounced by the Jewish Israeli humanistic opposition, they are themselves threatened with assassinations. Jewish people everywhere are standing up to the apartheid war-mongers who claim to speak in the name of a so-called ‘Jewish State’, and we all demand an end to the killings by the occupation that seeks to subjugate the remaining population and to prevent the return of the dispossessed Palestinian refugees. We remember what Jewish values are and what it means to be targeted. 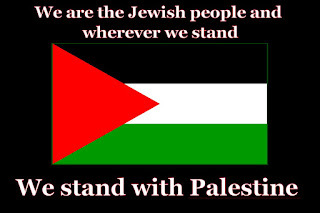 We value freedom, justice, equality, secularism and democracy in the Holy Land and throughout the world. That is why we need to have the Palestinian international BDS campaign of Boycott, Disinvestment and Sanctions to implement our demands, to stop the murdering of Palestinians on an almost daily basis and also, to end the occupation in the West Bank and Gaza Strip as well as ending the 10-year siege of the Gaza Ghetto. 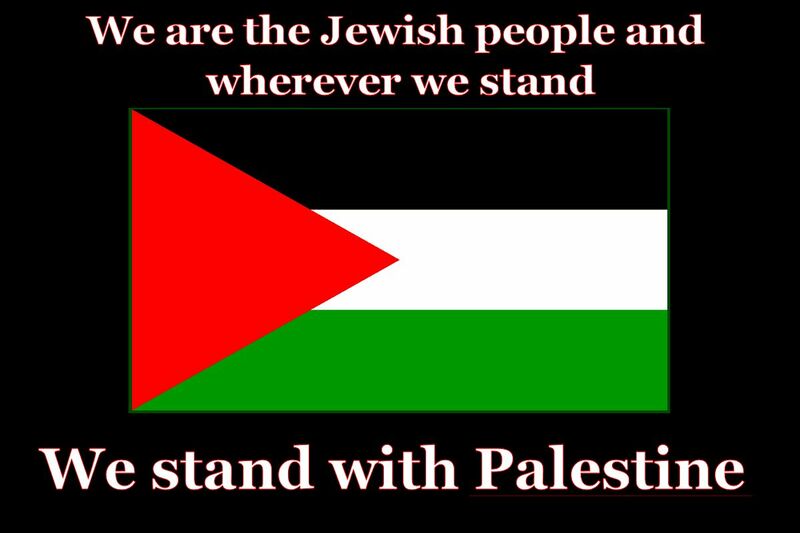 We must dissolve the Apartheid Zionist system to make this Land one for all to live in equality and peace. Loz mir lieben mit seychl, shytvis un shulim.